It is very important to be able to generate a stock request list so you can implement inventory control. As your company’s branch submits stock request, the stock keeper of another branch must be able to monitor and acknowledge which branch needs to replenish its stock. A delay in that could result in monetary loss. You need to decide the number of stock to keep and check if your inventory has sufficient space to handle the additional stock. For companies with many branches, may find BMO Online Inventory System‘s, stock request list function useful because they can track the stock’s location. Having too much stock will lock up much of your capital and your company’s supply must be above the demand quantity, otherwise there will be problems. Therefore, a balance must be achieved to ensure your company’s operates smoothly. The guide below teaches you to view stock request list in BMO Online Inventory Management System. 1. 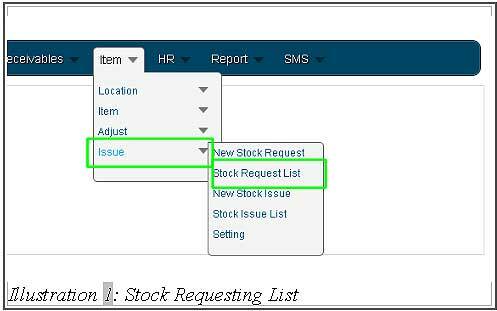 Click on “Stock Request List” (Item > Issue > Stock Request List) on the navigation menu bar. 2. 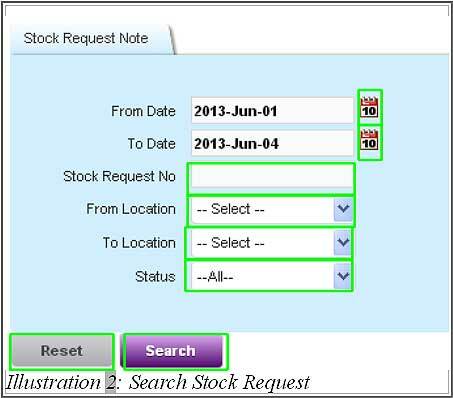 On the “Stock Request Note”, you can search by “Stock Request No”, “date” which is the date of stock requested. You can also use the “Calendar Icon” to choose the date. Searching using location by “From Location” and “To Location” or search through “Status” is also allowed. On the above, user either choose one of it to search the note issued and click on “Search” to start searching. By clicking “Reset” button, it will reset the search/refresh the page. 3. 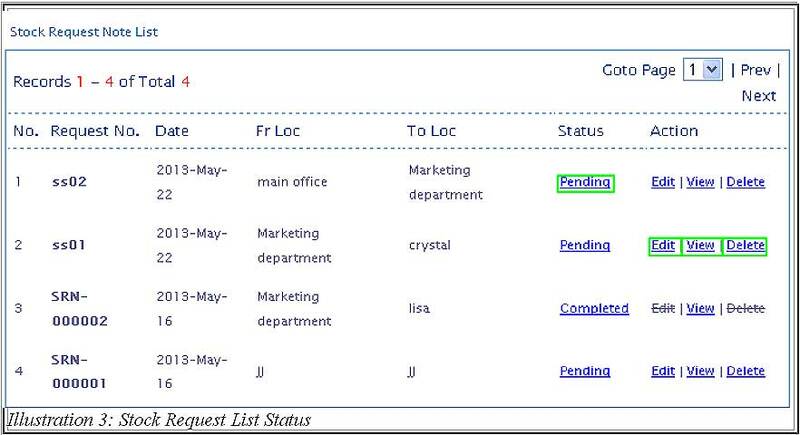 In the “Stock Request Note List”, you are able to look at the request “Status” and take action. You can “Edit” to edit the request,“View” to view current stock request and “Delete” to delete the stock request.